getcalc.com's Capacitance Calculator is an online electrical engineering tool to calculate capacitance of parallel plate, spherical, parallel line & co-axial cable capacitors. 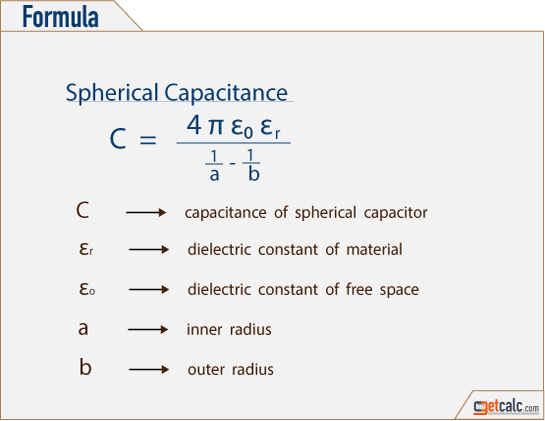 Capacitance is a physical quantity stored in a capacitor in the form of electrostatic charges in the dielectric medium between the two conducting electrodes which causes the flow of charges in the electric & electronic circuits. 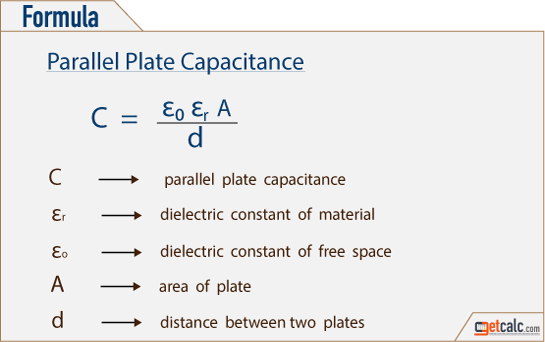 Based on the physical design, there are different types of capacitors available in the market. The major types are parallel plate capacitor, spherical capacitor, parallel line capacitor & co-axial cable capacitor. The capacitance is generally measured in Farads.